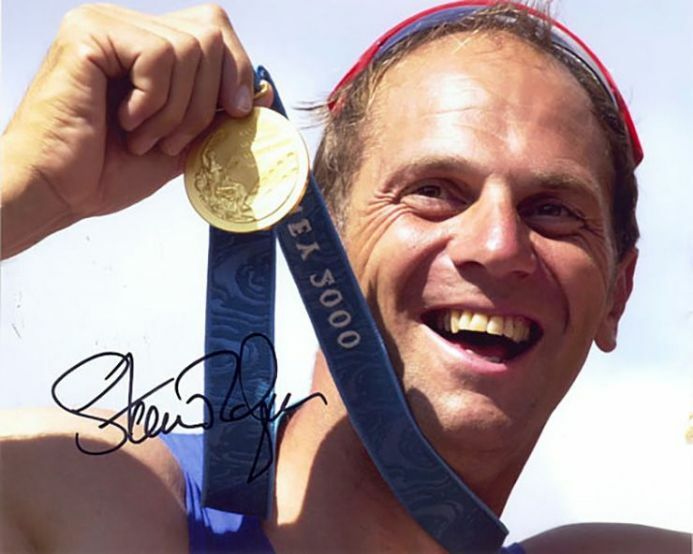 10x8 inch colour photo personally hand-signed in black sharpie pen by Olympic rowing champion, Sir Steve Redgrave. Redgrave won gold medals at 5 consecutive Olympic games from 1984 to 2000. He also won 3 Commonwealth Games gold medals and 9 World Rowing Championships gold medals. He is regarded as Britain's greatest ever Olympian.